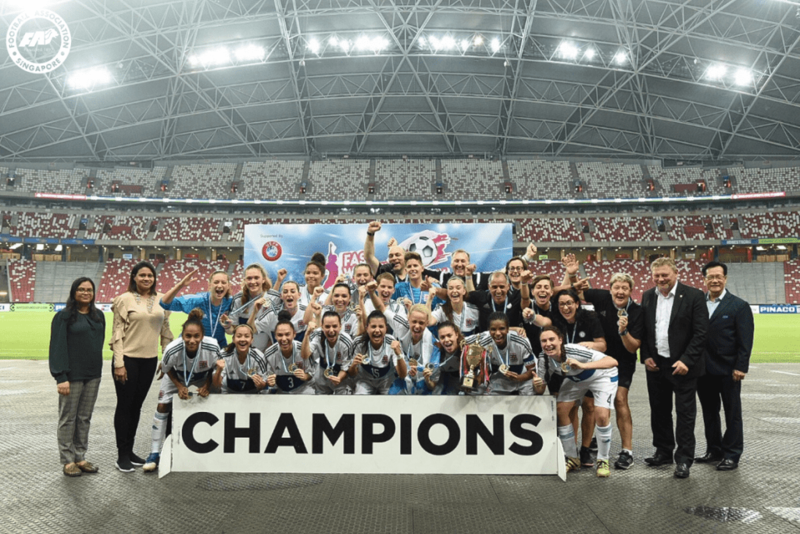 SINGAPORE, 25 NOVEMBER 2018 – A commanding display from Luxembourg saw them crowned champions of the Football Association of Singapore (FAS) International Women’s Quadrangular 2018 on Sunday evening. 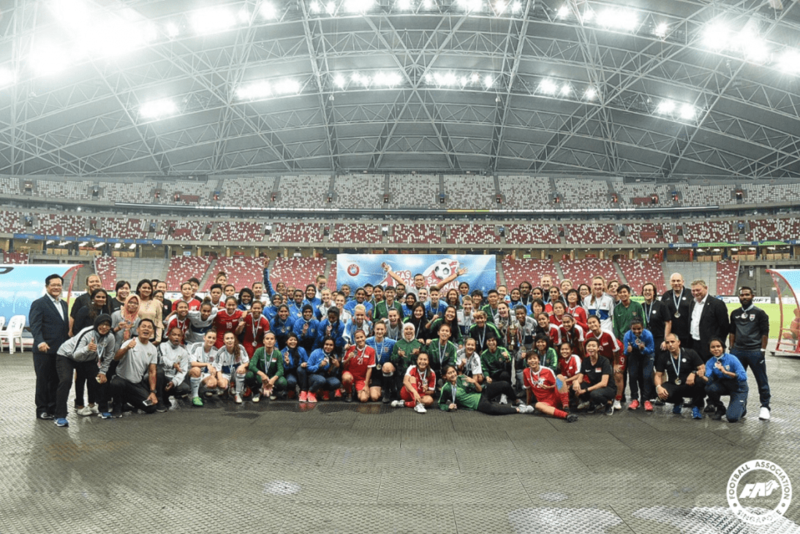 A first-half hat-trick in the fifth, sixth and 36th minutes from Karen Marin gave them a 3-0 lead at the break against Singapore in the final at the National Stadium, Singapore Sports Hub, before Maïté Machado Palma made it 4-0 three minutes into added time. It was a deserved win for the European visitors but the Lionesses also gave it as good as they got, having beaten Maldives 1-0 on Friday courtesy of Raudhah Kamis’ strike to reach the final. Maldives shocked Indonesia 2-1 on penalties in the third/fourth-placing match that was played prior to the final, with the game having finished 0-0 at full-time. Luxembourg had seen off Indonesia 1-0 on Friday to reach the final. Medals were given out to all four teams, with FAS President Mr. Lim Kia Tong and Luxembourg FA Vice-President Mr. Charles Schaack on hand to hand out the prizes.